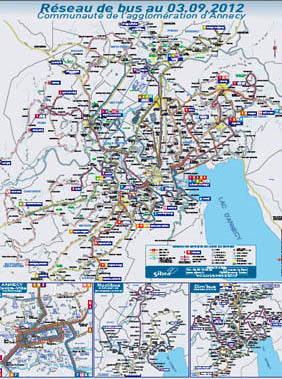 A "star-shaped" bus network to make travel easier! These are very frequent service lines, all transiting via the railway station hub and offering multiple connections with the other extended lines. These are frequent service lines which serve densely populated areas. These are lines with adapted service frequencies which serve more or less densely populated areas and interconnect with the main lines at the exchange hubs. With its own itineraries and privileged accesses, the main lines form structural axes which link high density or highly attractive areas together. 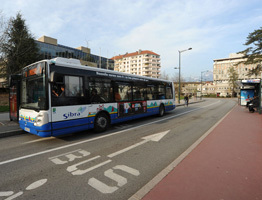 Thanks to the interconnection hubs (Gare d'Annecy/ Meythet-le-Rabelais / Annecy-le-Vieux Vignières / Seynod Saint-Jean), the main lines connect to the extended lines and thereby offer many travel solutions using adapted connections.